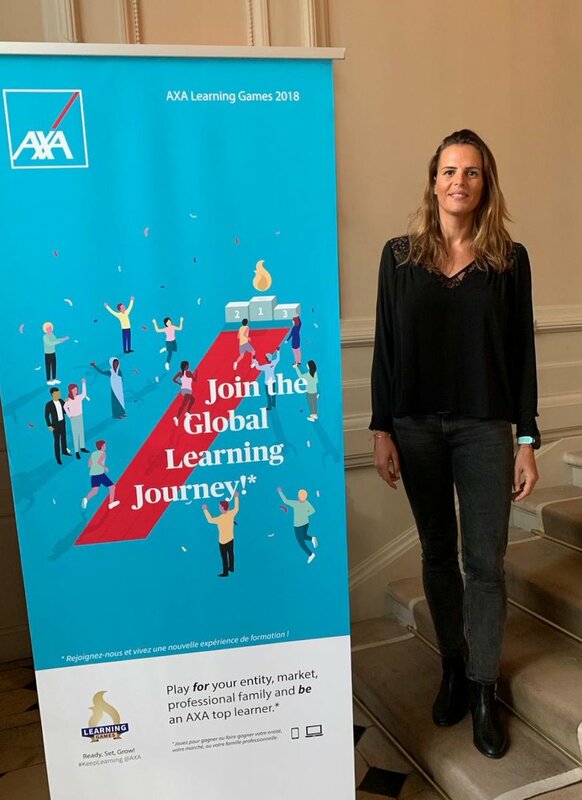 Digital and Human is a Paris-based consulting agency specialized in development of innovative solutions dedicated to interactive training, serious gaming and 3D simulations applied to the virtual-learning domain. 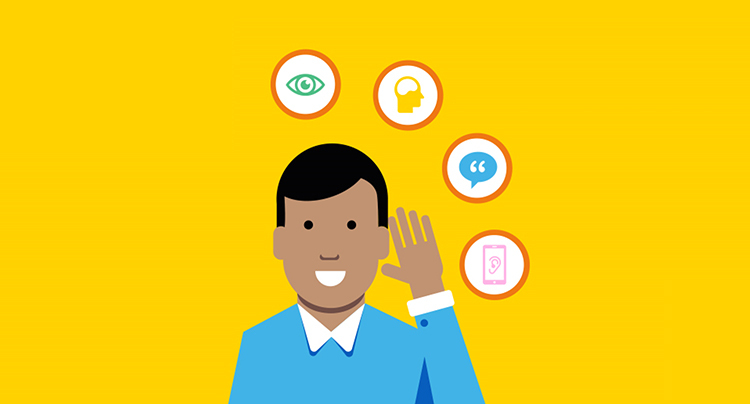 Born from the combination of successful yet long-term expertise in digital markets, our team relies on new possibilities offered by both virtual and augmented reality technologies to meet the needs of our clients. Such valuable complementarities allow us working through a global vision with each company, thus, taking into consideration its own specificities regarding the human factor as well as technical environments implied. While focusing on delivering projects with high added value in terms of aesthetic and functional designs, D&H finally relies on an integrated team of more than 30 developers, 2D/3D designers and experienced project managers, as they compose themselves the Persistant Studios Group. D&H accompanies the Orange Group regarding its International Disability Policy thanks to the development of ELLOMI mobile app: being deployed in 40 countries, latest is dedicated to employees with/without disabilities, providing useful information on disability at work while conveying appropriate guidelines. 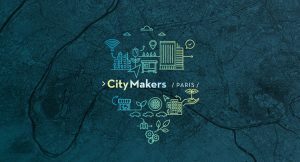 D&H has joined the Open Innovation Program “CITYMAKERS”: initiated by the world-class car manufacturer Renault, our team has been selected from more than 160 startups to meet the “Augmented Car Experience” challenge which was intended to develop a prototype meeting great interest from the jury. 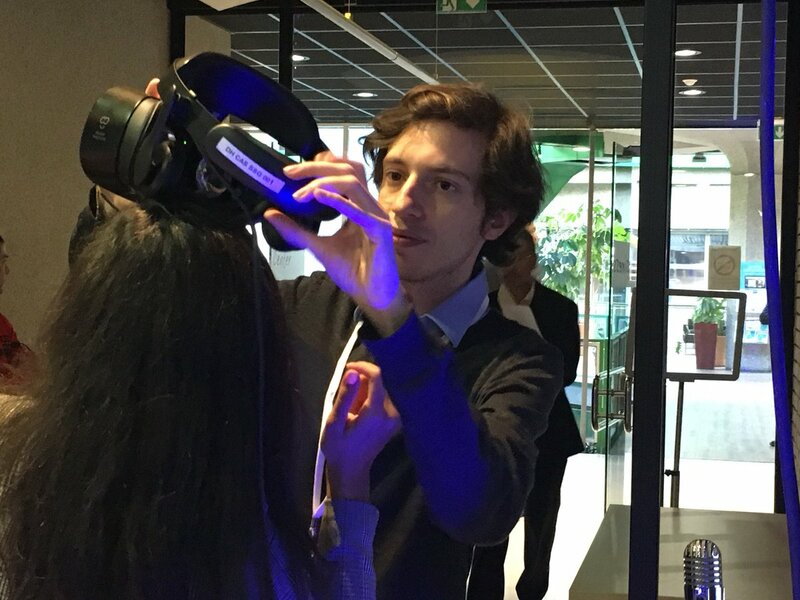 From October 2017 to December 2017, our team at Digital and Human did accompany the IFCAM (Crédit Agricole Group’s Corporate University) regarding the technical installation, setup and live animation of its Show Room intended to promote latest Virtual Reality-based innovations for the banking sector. Our mission starts where the worlds have to be 3D modelled in requiring an iterative approach. Digital&Human will act as your partner in building-up from scratch any kind of simulation that can range from replicating the way machinery operates to interact with various soft skills, such as human behaviors. Taking advantage of the long-term experience in game content development from its holding, Persistant Studios, D&H philosophy relies on getting people engaged throughout 3D materials delivered. Let people interact with objects, carry out tests, make decisions and mistakes until they have mastered the subject. 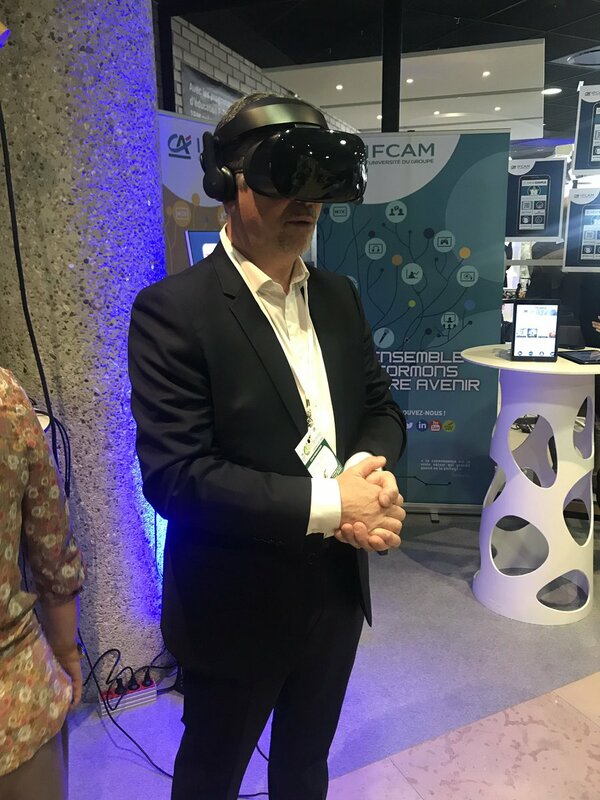 Education, construction, telecoms etc… Virtual Reality now creates a much more immersive and engaging environment adapted to train company’s workforce. D&H team helps you create a truly immersive and impactful experience that will present real opportunities for learning and development of your employees. 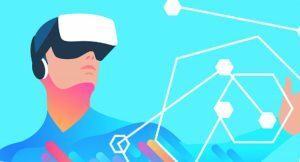 Safety remains one of the biggest benefit of today’s Virtual Reality interactive applications. Through its dedicated VR training programs that can be built-up from scratch, D&H intends to improve your own site safety in preventing injuries and making training more fun for your operators and on-site employees. In the will of acculturating people to specific topics such as disability at work, D&H will help companies and their employees to experiment the practices accordingly via the spatial awareness. One person being experiencing the module whereas the rest of the class is seeing on screen what the person who is using the VR set sees. Are you a brand or an industrial company in the need of requesting our expertise for a specific project? Feel free to drop us an email at our main address: imishal@persistant.fr. Your request will then be forwarded to the right team for that purpose.